Millennials are taking over the world...or so it seems. This makes them the perfect group to target your nonprofit marketing to. They are the future of giving. Millennials feel passionate about causes and are often more willing to take action than their predecessors. We seem to be hearing the term "millennials" everywhere, but who exactly are they? They were born between the early 80s and early 2000s. Therefore, they grew up with the internet and love to use it. They are currently the largest share of the US work force, so they have the means to give. Also, this group is willing to take action in the name of causes they feel passionate about. There's nothing more millennial than this! Hit them on all forms and make sure to be engaging. Follows, likes and comments can go a long way. Millennials are more likely to give to a cause they feel personally connected to. When a nonprofit seems more local, or tells a story the millennial can personally relate to, he or she is more likely to give. Millennials like to know where their money is going...so do all people! Honesty and openness is appreciated and helps to build trust. If a millennial's peer thinks a nonprofit organization is trustworthy, they will too. Make sure your marketing shows millennials that this is an organization their friends and colleagues would donate to as well. It seemed like everyone was doing the ALS ice bucket challenge...because they were! Nobody carries cash anymore, especially millennials. Make online donations a possibility, as well as cash-less in-person donations. Salvation Army is extremely skilled at targeting the millennial demographic. Writing checks just doesn't feel personal, also millennials rarely use checkbooks! Going out and "doing" makes giving to a cause feel more real. Call for vounteers, host a walk or even a for-charity happy hour! 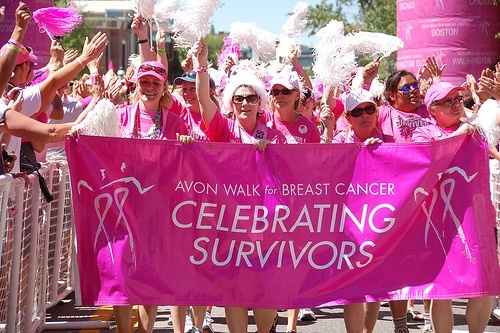 Breast Cancer walks are a classic examples of do-gooders "doing!" Now go out there and tweet, follow and like your way into the hearts of those millennials!